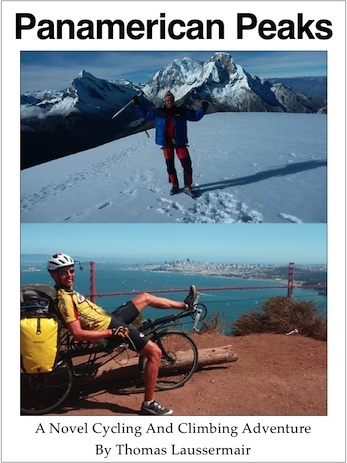 Distinction: Highest point of the lower 48 United States (without Alaska). 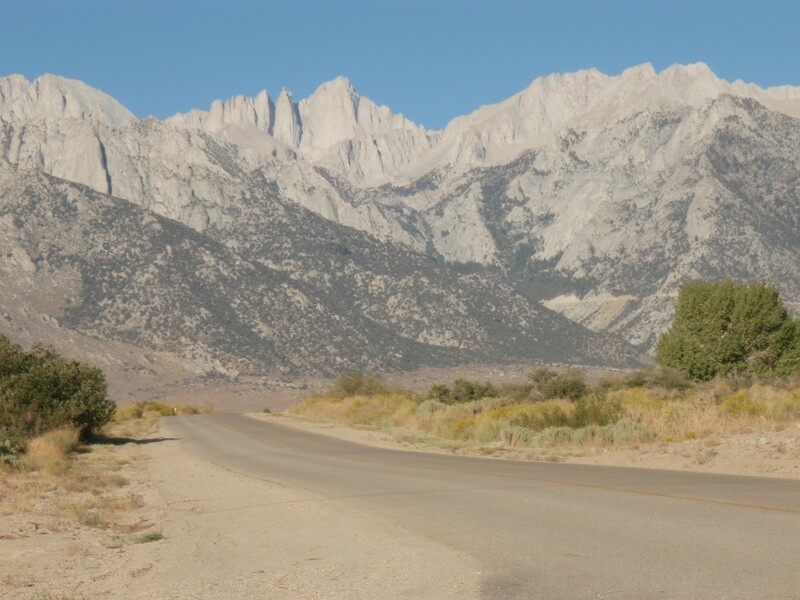 Photo album of Mount Whitney. Summary: Even though technically Mount Whitney is not the highest peak of any country along the way, it fit very nicely into the Panamerican Peak project and route. I had also tried to climb Mt. Whitney on Labor Day weekend in 2005 from Florida, but had to turn around due to altitude sickness (see trip report). So naturally I had wanted to come back and finish the climb. The normal route to the top poses no technical difficulty and despite the altitude during the summer months you can hike up in shorts and trail shoes. Other than bad weather gear no mountaineering equipment is required. 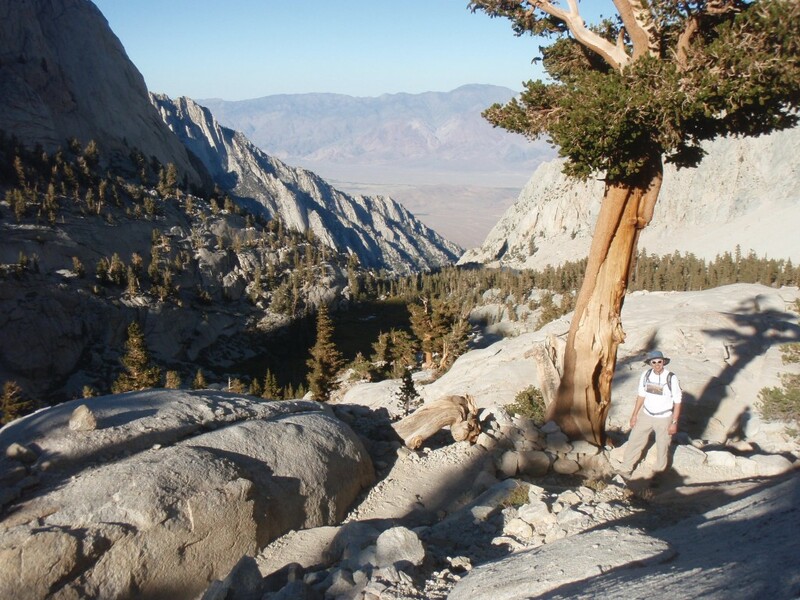 I climbed Mount Whitney from the trail head at the portal road camp ground in one long day together with Gary and Lynn, whom I had met earlier during my trip in British Columbia. See also the Mt. Whitney Wikipedia page for interesting facts and photos (like an awesome 360 summit panorama night shot). Drive to Mt. Whitney from Fallbrook to Lone Pine in rental car; 280mi, 5.5h drive time. Arrive in Lone Pine by about 9pm. Drive up Horseshoe Meadows road to around 9000ft and sleep in sleeping bag, no tent, starry night and brilliant milkyway. Wake up around 6am to amazing colors and sunrise. Lots of photos in early light on the drive down to Lone Pine. There breakfast and updates to Blog. Pick up of permits at visitor center and meeting with Lynn and Gary. Then grocery shopping, followed by lunch. We drive up the Whitney Portal road to the campground and luckily there is still space available for us due to a cancellation. We park and prepare our stuff for the next day. We also hike around the trailhead and another trail (Meysaw Lakes trail) to move and facilitate acclimatization. Beautifully warm evening light. Then we drive down again for dinner and some last-minute shopping. We’re back at the CG by 8:30 and go to sleep by 9pm. The alarm is set for 4am! Very early start, cool air until sunrise about 2hrs later, steady gaining altitude and better and better views over Owens Valley. In upper parts of the ascent some beautiful lakes amidst the dry and barren rocks of the High Sierra. Fantastic panorama view opens up at the ridge to the West at about 4000m altitude and noon. From here following the ridge with some up and down. Reaching the summit around 1:30pm. We stay on the summit for at least one hour and take in the panorama. I beam into my Flip Mino video camera to have made the summit on Panamerican Peak #3 – “3 down, 13 to go”. Long descent with beautiful afternoon and mellow evening light. We reach Wonder Lake just before the sun sets on the horizon below and casting our shadows far out to the East. The descent turns into a bit of a race against time and I just barely reach the trail head with the last daylight without having to pull out my headlamp. Gary and Lynn are doing the smart thing, resting and drinking some more and then using their headlamps for the last part of the descent. We are all back at the trail head around 8pm after some 14hrs on the trail, (8 up, 1 on top, 5 down). Now we drive down to Lone Pine for a big, celebratory steak dinner. What a great day in the High Sierra!